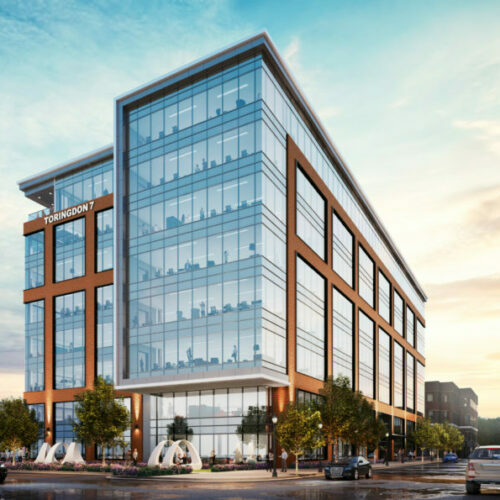 Durham, North Carolina – August 2, 2018 – Trinity Capital Advisors, in partnership with SLI Capital and Wheelock Street Capital, has acquired 464 East Pettigrew Street in downtown Durham. The 1.76-acre parcel is immediately adjacent to Venable Center, recently acquired by the joint-venture partnership in July. 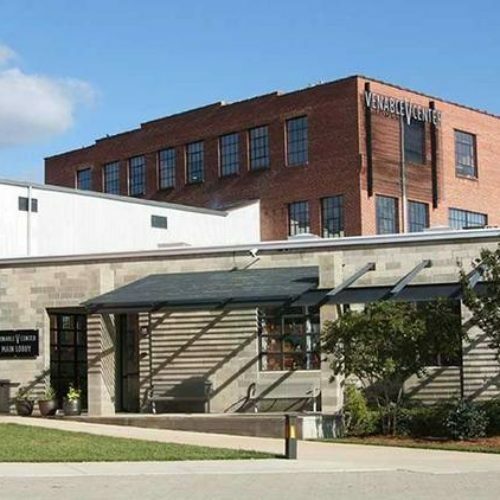 Located at the gateway to downtown Durham, the assemblage of the Venable buildings and land is bordered by Dillard, Pettigrew, and Roxboro Streets, and is steps away from the Durham Bulls Athletic Park and American Tobacco Campus in a vibrant, walkable area. The location beneﬁts from immediate access to the Durham Freeway, an East/West connector allowing for convenience to major regional interstates 40 and 85. It’s also in walking distance to award-winning restaurants and popular lunch spots and adjacent to the proposed Dillard Street light rail station. 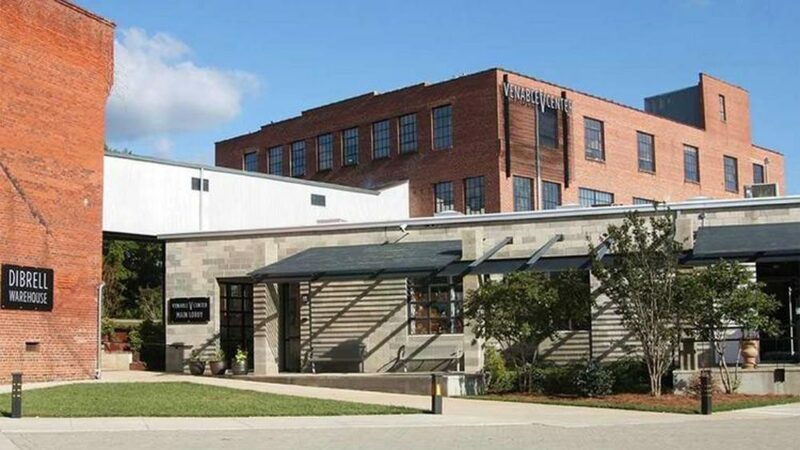 Venable Center is a recently restored, three-building, 87,416 square-foot historic tobacco mill turned Class-A office development, featuring R&D space in a campus-like setting. First constructed in the early 1900s as a tobacco warehouse, the buildings underwent extensive renovations in 2006. Listed on the National Register of Historic Places and winner of Preservation Durham’s 2008 Pyne Preservation Award, the redevelopment combines its rich, historic architecture with a sleek, modern design aesthetic to offer a unique and authentic tenant experience. 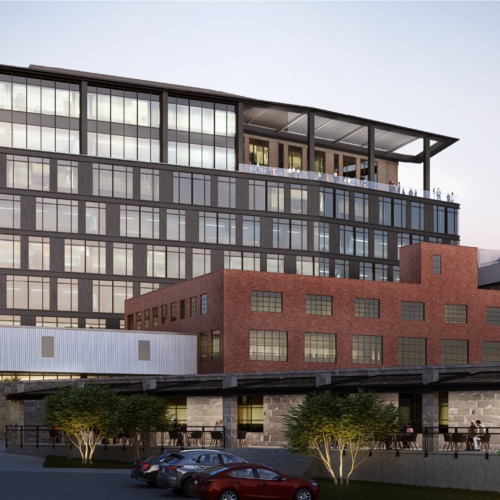 The joint-venture partnership will be expanding Venable Center into a master-planned, urban mixed-use development including Class-A office, multifamily and retail that complements the existing, landmarked buildings and downtown Durham’s unique, creative energy and atmosphere. Venable Center is currently 100 percent occupied with a successful STEM-based tenancy. Precision BioSciences is the largest tenant. 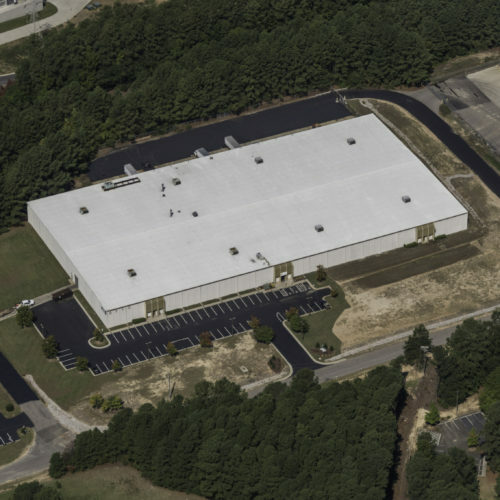 Trinity Capital Advisors focuses on the acquisition and development of institutional-quality commercial real estate in the southeastern United States. The firm has invested more than $2.3 billion acquiring and developing more than 18 million square feet of the most successful workplace real estate projects in North Carolina, South Carolina, Tennessee, and Florida, including CBD office towers, industrial portfolios, suburban office parks, and mixed-use developments. Investments are capitalized through various Trinity Capital investment vehicles and partnerships with some of the country’s top institutional investors. Learn more at trinitycapitaladvisors.com. SLI Capital (www.slicap.com) is a Raleigh, NC-based real estate investment firm targeting real estate investments in institutionally liquid growth markets in the Southeastern United States. SLI employs an investment strategy that includes core allocations to income-oriented investments and non-core investments focused on opportunistic alpha generation. The firm invests across a variety of asset types and throughout the capital stack with an emphasis on multi-family and office. Wheelock Street Capital was formed in 2008 by Rick Kleeman and Jonathan Paul, two veteran real estate private equity investors, each with over 25 years of broad real estate transaction experience across all major asset classes. Wheelock has since raised over $2 billion in capital commitments and is currently investing its fifth fund comprising $725 million of commitments from leading pension funds, endowments and foundations. Wheelock will invest in a broad range of real estate assets throughout the United States. The fund may invest directly or with high quality joint venture partners through a variety of capital structures and transaction types, including acquisitions, restructurings, and recapitalizations. Learn more at wheelockst.com.